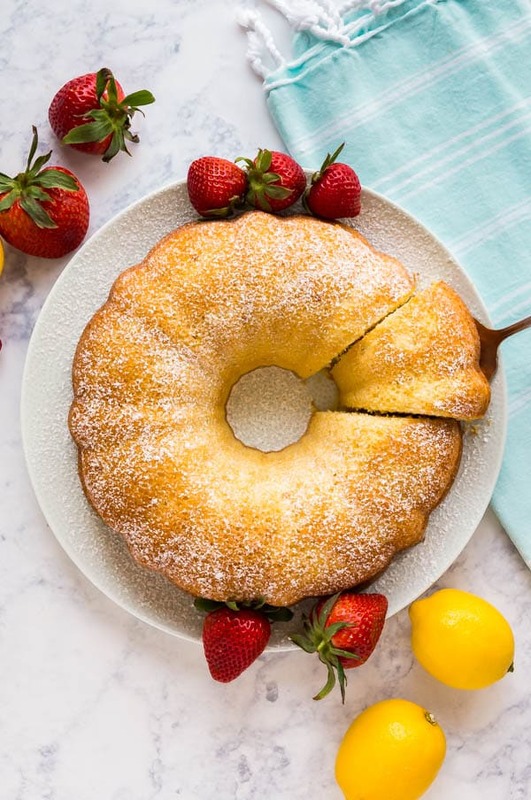 My Great Grandma’s Lemon Pound Cake Recipe is a serious keeper! Easy to make, subtly sweet with a light and moist crumb that no one can resist. This post contains Affiliate Links. Please see the disclaimer here. 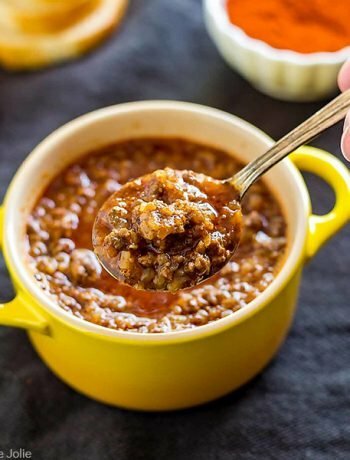 There’s nothing more special than family recipes. And this one goes waaayyyyy back! It’s always good to have a good pound cake recipe on hand. A cake like this is ideal for any occasion and always appreciated by those who get to enjoy it. 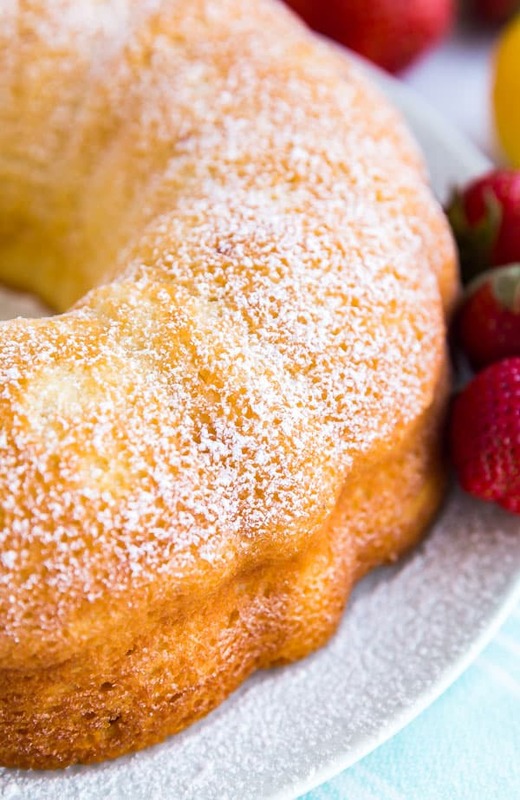 This is a truly fantastic lemon pound cake recipe. I especially love that it’s not overly sweet, but just sweet enough to satisfy your sweet tooth. It’s also got a nice balance in terms of lemon flavor- you will not end up puckering up from tartness when you taste this! Make sure you don’t skip the step of separating the eggs- this is important to help create just the right texture. Mix the dry ingredients separately and slowly add them to the creamed butter/sugar mixture going back and forth with the milk. That way everything mixes in evenly and it also prevents over-mixing. When you whip the egg whites, be sure to start in a clean bowl with clean attachments. Egg whites can be finicky and won’t whip up properly if there’s other stuff in the bowl. When adding the egg whites to the bowl, gently fold them into the batter so you don’t take all the air out of the whipped eggs- that air helps lighten the cake. 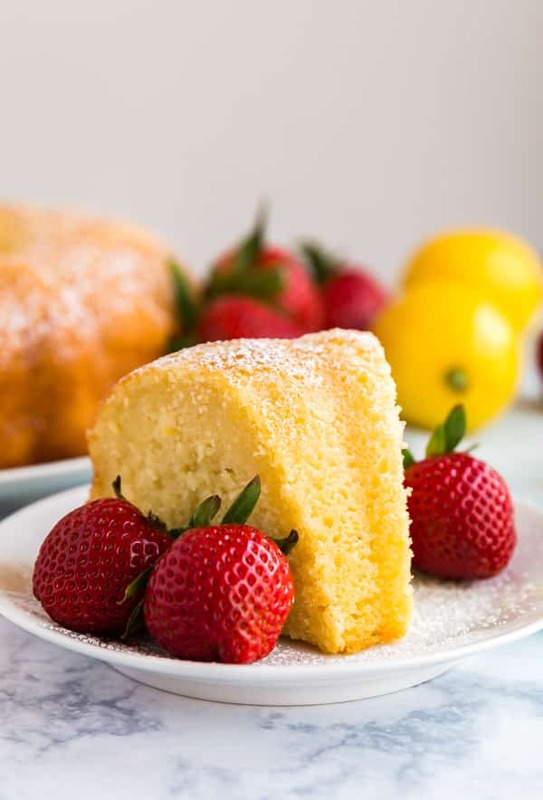 What does pound cake mean? 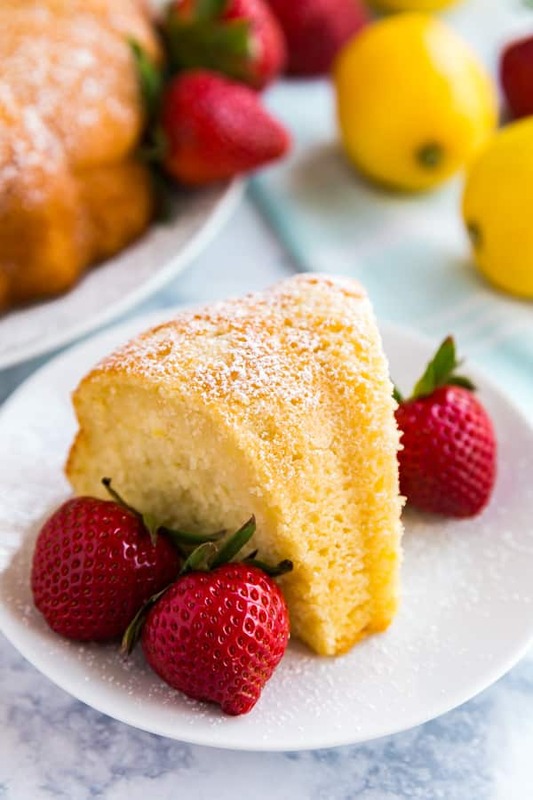 Traditionally, pound cake is make with a pound of flours, sugar, eggs and butter. 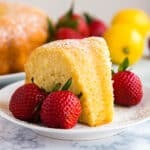 How do you store pound cake? I store it covered on my kitchen counter. How long does pound cake last? 3-5 days. 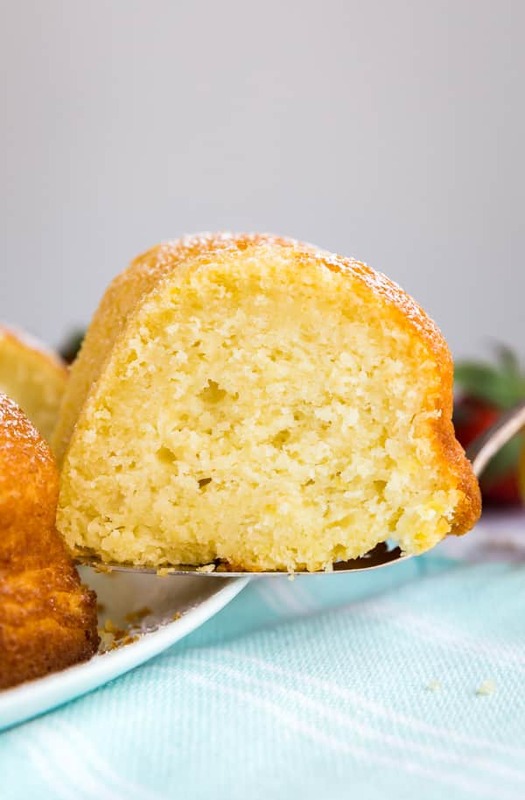 Can pound cake be frozen? Yes! Be sure to wrap it well! What kind of pan do you use for pound cake? This recipe is written for a tube pan, but I didn’t have one so I used a bundt pan. 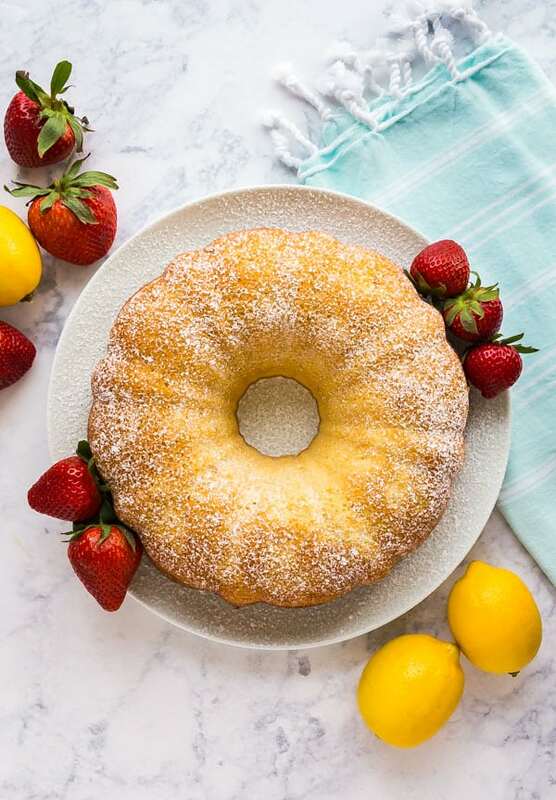 My Great Grandma's Lemon Pound Cake Recipe is a serious keeper! Easy to make, subtly sweet with a light and moist crumb that no one can resist. Preheat the oven to 350 degrees and generously grease a tube or bundt pan. Set aside. Cream butter, sugar and lemon zest together until light and creamy. Add egg yolks. If using lemon juice add this at this time. Mix until just combined. In a separate bowl sift flour and baking powder together. Add a small amount of dry ingredients into wet ingredients and keep going back and forth until both are just mixed in. Gently fold in whipped egg whites until everything is combined. Place into prepared cake pan and bake for 45-50 minutes until a toothpick comes out clean (err on the shorter side if using a dark coated pan). Cool and serve with a sprinkle of confectioner's sugar. Looking for some other great cake recipes? You can find a full index of my recipes here. Don’t forget to follow The Life Jolie on Pinterest for more recipe inspiration! Or if Pinterest isn’t your style, bookmark this post! 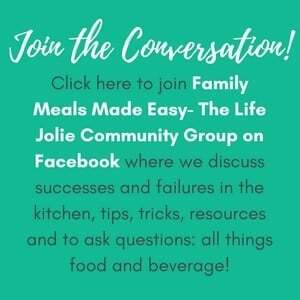 Let’s keep the conversation going- join my Facebook group! 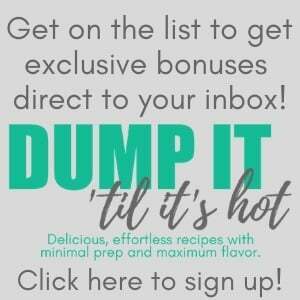 By signing up you consent to receive updates, recipes and access to my exclusive freebies page. Don't worry, I won't spam you or share your info! Welcome to The Life Jolie! 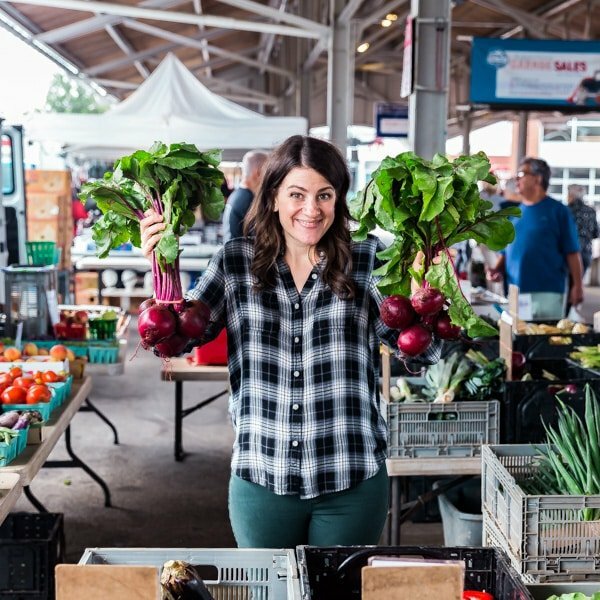 This is a place to talk about all things delicious, family-related and pretty. Click on the photo to read more about me. All images and text on this site are property of The Life Jolie and are rights protected. All free printables are for personal use only. Linking back and pinning are always welcome and appreciated! For more information, please view our Blog Policies and Disclaimer. Thank you! Check out The Life Jolie on Instagram! Copyright 2014-2018 - Jolie Ventures, LLC. All Rights Reserved.